For south metro Atlanta to become even more of a business and residential destination, leaders must continue to support workforce development and improve efforts to match jobseekers with employment opportunities, economic development officials say. In a far-ranging economic report card on the communities around Hartsfield-Jackson International Airport, which includes Forest Park, Hapeville and the city of South Fulton, the group Aerotropolis Atlanta looked at the growing investment in the area. It boasted business expansions that include LTI Industries, a food service and supply company in Jonesboro; the planned creation of hundreds of miles of walking trails around the airport; and possibly its biggest development — Airport City, a proposed 320-acre mixed-use project in College Park. If it gets off the ground, boosters hope Airport City — which will include offices, hotels and houses — will give south metro a “wow factor” more common of developments north of I-20, such as Buckhead Atlanta and Atlantic Station. 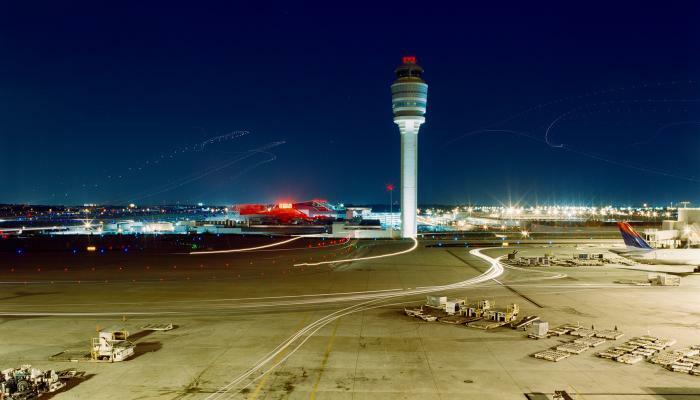 Aerotropolis Atlanta focuses on commercial and residential growth around the world’s busiest airport. Officials with Aerotropolis Atlanta said the area is becoming more attractive to businesses that eschewed it in the past. “We’re providing tangible results to influence the narrative,” Shannon James, Aerotropolis President and CEO told the group at its annual meeting last week at the Georgia International Convention Center. The improvements come two years after a 2016 study of economic health around the airport found that unemployment was 43 percent higher than in the city of Atlanta and 81 percent higher than the national average, said Rob LeBeau, workforce solutions division manager at the Atlanta Regional Commission. “These high unemployment rates, along with limited transportation access to quality jobs, contributed to an economic picture where nearly 1 in 5 households earned less than $15,000 a year,” LeBeau said. To address the issue leaders aligned efforts with the more than 100 workforce groups working in the area and focused on ways to create opportunities for residents. Morcease Beasley, superintendent of Clayton County Schools, said the quality of education also is improving in the south metro area, a key element in bringing jobs and economic development. Beasley, a member of the Aerotropolis’ education work group, said people too often focus on his district’s loss of accreditation in 2008,which was caused by infighting among school board members and the system’s central office, instead of asking how the school system is performing today. The system became fully accredited again in 2016. To avoid answering questions about the past, he said, Clayton and South Fulton educators need to do a better job marketing all the educational opportunities, including the expansion of foreign language curriculum, classes in aeronautics and a push to get more students in advance placement classes.